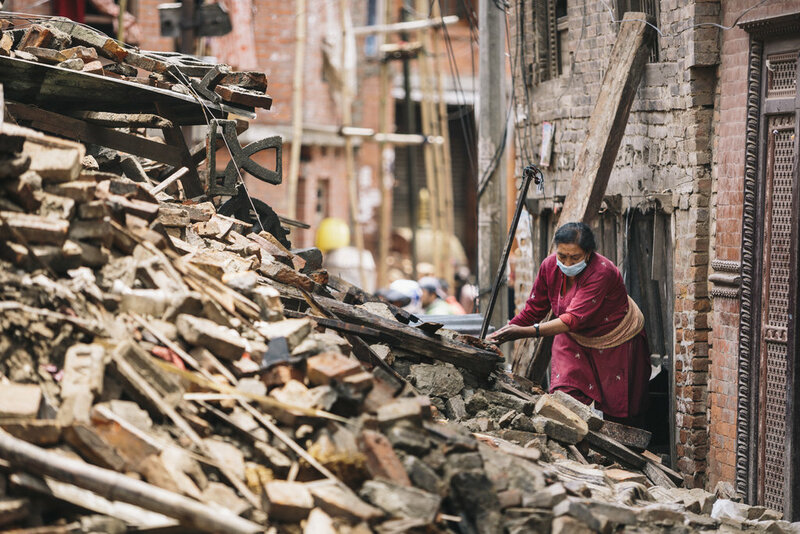 (Washington, DC) April 22, 2016 - Nearly one year after two devastating earthquakes impacted more than eight million people in Nepal, deadly earthquakes have hit both Japan and Ecuador this past week highlighting the need for urgent humanitarian and rebuilding efforts. Provide support now. Local organizations need fast, flexible funding after a disaster to be able to pivot their work to support their communities. Waiting until after the dust settles is often too late. Breaking through standard fundraising barriers will enable those in need to get immediate emergency support. Donate to local organizations. According to the Overseas Development Institute (ODI), the UK's leading independent think tank on international development and humanitarian issues, 81 percent of funding from donor countries goes to big-name nonprofits and agencies. Crowdfunding can get funds straight to local organizations who are experts in their communities, allowing donations to have the greatest impact. Cash is best. Monetary support (instead of in-kind donations) are the most effective way to support people in times of crisis. For guidance on how to donate, check out the USAID Center for International Disaster Information (CIDI) Donation Guidelines. Self-reliance drives sustainable recovery. By providing flexible, ongoing support, and appropriate training and follow-up, we can help communities become more self-reliant than they were before the disaster. This ensures that communities can have a sustainable recovery from a disaster and will continue to thrive even after international aid organizations leave and emergency relief operations wind down. Stay involved. In addition to funding during and immediately after a crisis, local organizations need ongoing funding to sustain the recovery for months and even years. According to the Center for Disaster Philanthropy, the largest percentage of post-disaster giving is focused on initial rescue and relief (42 percent) while a far smaller percentage (19 percent) targets longer term reconstruction and recovery efforts. Longer-term funding is critical to help communities become more resilient against future disasters. "The events in Nepal have shown us that we are in a very critical time with both the Ecuador and Japan relief efforts," said Mari Kuraishi, co-founder and president of GlobalGiving. "We know donors like to give the majority of funds right after a disaster occurs, but that these funds need to last for the duration of the recovery efforts, which can span years. That's why we've been working day and night to support the best local organizations that provide the greatest impact to drive relief and recovery." GlobalGiving has created an Ecuador Earthquake Relief Fund to support relief and recovery efforts after the Ecuador earthquake. Initially, the funds will help first responders meet survivors' immediate needs for food, fuel, clean water, hygiene products, and shelter. Once initial relief work is complete, the projects will transition to support longer-term recovery efforts run by local, vetted organizations. To donate or stay up to date on the support being provided to Ecuador, visit https://www.globalgiving.org/ecuador. The GlobalGiving Kumamoto Relief Fund is supporting immediate and long-term recovery efforts in Kumamoto, Japan after two deadly earthquakes, significant aftershocks, and landslides. GlobalGiving has relationships with many nonprofits in Japan and is getting funds quickly to vetted, locally-driven organizations who are best-positioned to provide immediate relief and to drive long-term recovery in their own communities. To donate or stay up to date on the support being provided to Japan, visit https://www.globalgiving.org/japan. GlobalGiving and its partners will be providing ongoing updates and reports on both recent disasters. For up-to-the minute reports and to learn how funds are being used, visit https://www.globalgiving.org. On April 25, 2015, Nepal was impacted by an earthquake with a magnitude of 7.8Mw. The disaster shocked the world, and the event impacted more than 8 million people, caused 8,000+ deaths and injured 21,000 people. Since the crisis occurred, GlobalGiving has worked with local nonprofits and organizations on the ground to provide relief and to help rebuild the community, raising more than $6 million in donations that went to 83 local organizations. The funding supported the initial search and rescue work through the ongoing rebuilding of infrastructure in the affected areas. Search and rescue efforts. Nimble first-responders like IsraAid were critical to finding survivors like Krishnadevi, a 24 year old woman who was rescued five days after the first earthquake when most efforts had moved from rescue to search. Emergency supplies to survivors in remote areas. Local relief organizations are best equipped to handle these responsibilities because they know the terrain. For example, World Concern's team was the first organization to reach and provide aid to Khalte, a remote village in the Himalayan foothills where 95 percent of the homes were destroyed or damaged. Providing water safety and ongoing medical care to prevent the outbreak and spread of illnesses. One such organization is the Environmental Camps for Conservation Awareness that distributed a water purification solution and mobile health camps throughout area of Kathmandu. Supporting communities as they begin to rebuild. Within a month of the earthquakes, the dZi Foundation began working to construct schools so that children could return to school quickly and safely. Schools will continue to be built over the next three years. Other organizations, like Tewa, launched a range of programs--training women to generate income for their families, providing tuition funding for displaced children to return to school, and training youth volunteers to promote psychosocial counseling for survivors. For the latest information on global natural disasters or to support local communities in need, visit www.globalgiving.org. GlobalGiving is the first and largest global crowdfunding community for nonprofits. GlobalGiving makes it safe and easy for people and companies to give to local projects anywhere in the world, providing nonprofits with the tools, training, and support they need to become more effective. Since 2002, GlobalGiving has helped raise more than $200 million from more than 500,000 donors for more than 14,000 projects. Because GlobalGiving works with nonprofit organizations in more than 165 countries, when earthquakes and other disasters occur, GlobalGiving can quickly deliver funds to locally driven organizations that are best-suited to provide relief in their own communities. To donate to charities involved in disaster relief or if you are a charity looking to further your impact when disasters occurs, please visit www.globalgiving.org.